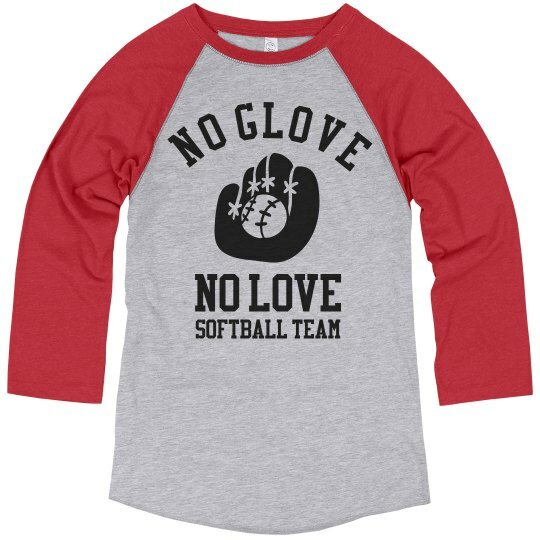 Sorry guys, no glove - no love. 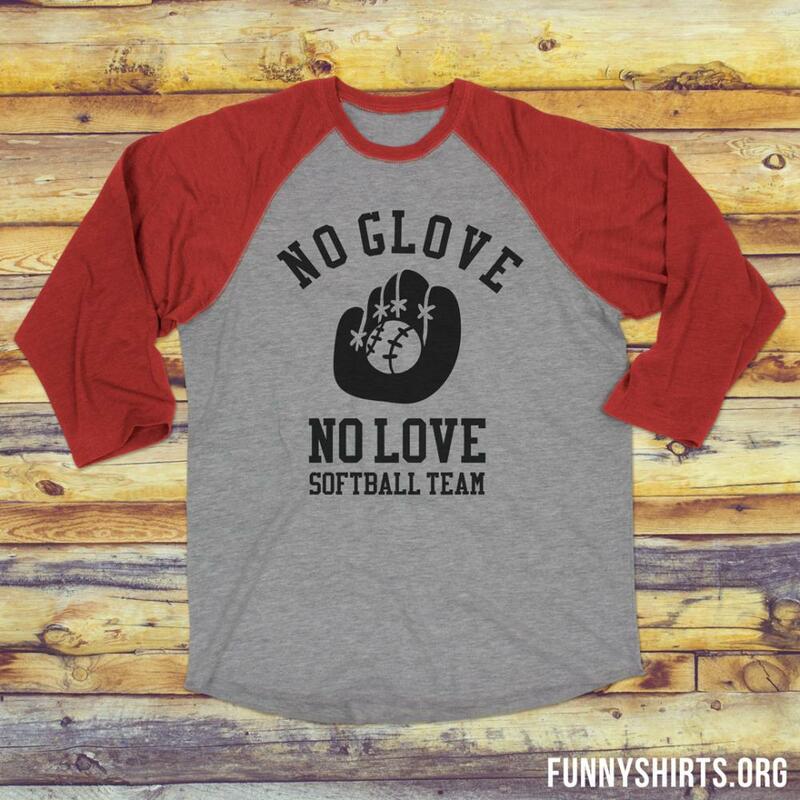 Customize a super funny softball jersey tee shirt for all of the players on your adult league this summer. Add your last name and number to the back of these awesome jerseys!